Predictions show that 2025 could mark the end of print newspapers in Canada, as readership figures continue to decline. However, for savvy-minded entrepreneurs passionate to fulfil their dreams of operating a community-based business, there are a number of ways you could diversify your newsagency business to ensure you keep customers coming through your doors. Digital media is ever-growing in usage and popularity, which makes it fierce competition to the traditional print industry. Just less than half of all 51-69-year-olds read newspaper content digitally, most using their mobile devices. Almost 60% of millennials are also turning to their mobile phones to keep up-to-speed with current affairs, while more than 75% of 21-to-34-year-olds occasionally opt for paper editions. In the last decade, daily subscriptions for newspapers and print advertising revenue has been in steady decline. It takes an experienced retailer to operate in such an uncertain industry; knowledge in running or working in a newsagent is advisable. It is important for any entrepreneur to remember that profit margins in newsagency businesses are slim; solid business acumen is essential in order to maintain revenue. There is an increasing number of grey market goods entering the marketplace which is presenting challenges in the newsagency sector. Grey market goods are items such as confectionery, beverages or ice cream products that have been manufactured in other countries and not authorised for sale in Canada. Selling these goods can put retailers at risk and means they could be held liable should any grey market product cause harm to a consumer. Depending on the area of your business and the type of clientele, shoplifting can also be a growing issue for newsagency owners across the country. Knowing how to deal with shoplifters and how to act in volatile situations could be a skill that is necessary to make sure your store doesn’t become a hotspot for theft. A range of services to offer such as lottery tickets, greeting cards, magazines, etc. The Canadian government offers a range of support services and financing opportunities for entrepreneurs that are keen to set up their own enterprise. Each state will have their own development programmes and grants on offer that business owners can tap into to help grow their newsagency business. The Canadian Convenience Store Association is a not-for-profit organisation that offers a national voice for operators across the country. The network informs members of issues surrounding the convenience retail sector and offers support to independent retailers wanting to expand their operation. The Canadian Federation of Independent Businesses (CFIB) offers news and advice, as well as advocating on behalf of independent business owners across Canada. The organisation has more than 109,000 members, and the group itself is entirely funded by its supporters. The Canadian Marketing Association (CMA) supports entrepreneurs by helping to increase their marketing knowledge. CMA also develops self-regulatory standards for its members and offers professionals learning-focused events, such as seminars and in-house training. 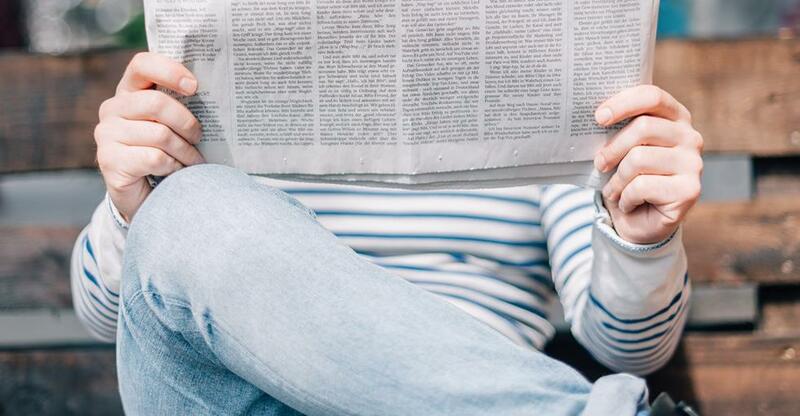 Relying on newspaper and magazine sales alone to keep your profit margins high could be a risky game, especially as newspaper readership continues to decline. Adding a post office counter to your newsagency could be a great way to help attract customers to your store. Canada Post offers franchise opportunities for business owners depending on their location and the needs of the customers in the area. If the location qualifies as a good potential site, a Canada Post representative will visit the business owner to discuss the logistics and practicalities of adding a post office counter to your business. Operating a convenience store within your newsagents is also a great way to drive customer sales; confectionery items, soft drinks and hot beverages are high margin products that you could include in your newsagency. Contact your local authorities to apply for a tobacco and liquor license to increase the footfall of your store. Many newsagents also offer a lottery service to increase their consumer figures; each state will have its own resources and forms for gaming license applications. Offering a collection and drop off locker service could also be a great addition to your newsagency, depending on the location of your business. This offers a convenient service for home shoppers who have parcels delivered throughout the day and allows consumers to access items that have been delivered at their convenience, rather than waiting for a redelivery. When you’re looking to buy an existing newsagent, location is paramount. Investing in a store with a heavy footfall and a prime high street location is key, however, it is also important to consider what other business are in the vicinity. Steer clear of newsagents that have a supermarket nearby, it will be too difficult to match their competitive pricing and variety of stock. A shop that is situated near a bus or rail station will have good passing-trade, as will stores based in built-up residential areas. Make sure you do a full due diligence check on any business before putting an offer on the table, failing to research the area and the current business figures could put you in a dangerous position in a sector that has little room for error.